Welcome to Driven By Limo, your easy and reliable limo service! "I'm writing to thankyou for the prompt and professional service I recieved whilst in your companies care on friday 19th April in Sydney, I have emailed my Amex Concierge recommending your company to all needing limo services. Melbourne is one of the world's most sophisticated and liveable cities and whether you are here for business or pleasure the best way to take in young and vibrant Melbourne is by limo. Take a tour of Melbourne's famous attractions including: Lygon and Elgin Streets, the Cartlon Gardens, Docklands, the MCG, the Crown Casino, the Flinders Quarter and Chinatown. Our limousine services in Melbourne are unsurpassed with our extensive network of drivers and vehicles available to meet your needs 24 hours a day, seven days a week. Melbourne is regarded as the biotechnology gateway to Australia and the Asia Pacific and Driven By Limo is committed to ensuring our corporate clients arrive at their destinations on time, with our drivers and technical support staff offering the most efficient and cost effective limo hire in Victoria. Part of Melbourne's charm is its network of trams that criss-cross the city. This system can make Melbourne's busy roads difficult to negotiate for visitors who may prefer to be chauffeured in a limo or luxury sedan allowing them to focus on the business at hand or just enjoying themselves. Despite its culture and sophistication Melbourne is very much a party town with its unique lane ways and once-forgotten warehouses converted into some of the best bars in Australia. A car service is the perfect way to enjoy these hot spots, such as Manchester Lane Jazz Club or Alley Bar, without having to get behind the wheel. 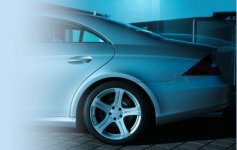 Limousine hire in Melbourne has never been easier with our unique online booking system that allows you to arrange limo transfers without having to make a single phone call, while our friendly staff are standing by to take your calls if you have any questions about booking your limousine in Victoria.